Radha retired as a Housing Benefit Officer of many years and decided to go back to adult education. She decided to undertake a Level 4 Understanding Visual Arts Certificate at Birkbeck, University of London, which required a lot of extra-curricular visits, reading and research, and attending Academic Writing classes. Though hard going, Radha developed strategies to help her memory and to express lines of argument in her writing. She enjoyed the new perspectives that the study gave her when viewing art and conceptualising what she saw. “When I retired I decided to join a class to learn something constructive and worthwhile which I would enjoy; although, I have not engaged in any formal course for over 30 years. 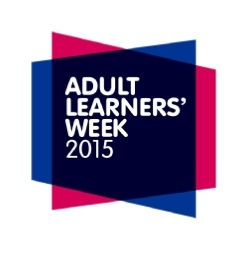 I joined adult learning to study at Birkbeck University London. The only course made available that I knew at the time was Visual Arts; this would involve several visits to art galleries and museums. As I am hopeless at drawing and painting, this seemed great and I joined in October 2002, studying on a part-time basis. As a visual art student I have to be able to describe the composition of the painting, the brushstroke used by the artist, the use of colours, space and light to create the visual effects required. To gain better understanding of the concept, while attending classes, I made time to visit museums during my spare time, spent hours looking at art works and attended several sessions organised by the museum to give an insight about selected paintings. The course was hard going as most of the work had to be done in my spare time. I had to make time for recommended reading for the classes as well as searching for additional information. It involved attending art galleries and museums. I had to learn the use of computers from scratch, as I had no previous knowledge of doing research for the subject. I had to learn PowerPoint, for presentations to the class, for the course work. I attended English Academic workshops to better my written language and essay writing. The hardest part was remembering, especially at my age, where I tend to forget easily. It was difficult to learn and remember new words such as art vocabularies, names of art paintings and the year painted together with the name of the artist who completed the art work, and for which I had to devise my own methods by using flip cards and regular revision. The other difficulty I had was when writing an essay; I found it difficult to present my argument. A few times I did not understand the essay question. After completing the essay, I realised that I did not answer the question. I then had to take extra time to do further reading and rewrote the whole essay. This caused me to hand in my essay late which led to my marks being capped, causing some disappointments. I read slower than most people and it took me a few times to understand and make reason of my readings. This I overcame by spending more time and reading only a few pages at a time, and than a couple of times. Studying had an impact on my social life; then again I selected only the ones that interested me the most. As for family life, I still did a substantial amount. My three grandchildren are grown up; they did not need me for babysitting anymore, so I had more spare time for my study. It has been a great experience, very challenging, but after all very rewarding. I have achieved this through much hard work and putting in extra time. I had not taken unseen written examination for many years; fortunately, I managed to pass which allowed me to continue for a further year. This was a great incentive. Having studied for two years studying at Higher Education level, I have increased my knowledge in Visual Art as well as understanding the composition of art. I intend to visit Florence again but this time I will look at paintings, architectures and statues with a better understanding and a different eye. I would sincerely advise and encourage any mature person to take up some type of academic studies. 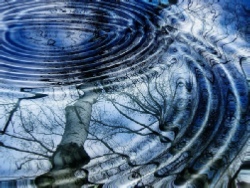 Although difficult at the beginning, as the study progresses, it makes more sense and becomes clearer. What have you got to lose? Why not use up your time, to challenge yourself, by doing something rewarding? I believe that it has improved my memory and has made a major difference to the way I use my spare time. Sarah Potter, Radha’s tutor at Birrbeck University said, “Radha Virahsawmy enrolled on the Birkbeck Certificate of Higher Education in Understanding the Visual Arts in October 2012. She had never studied at Level 4 before, did not know how to log on to a computer, had no knowledge of the arts, and had only rarely visited a museum. She seized the opportunity to embark on positive learning rather than continue with activities which were mainly social and got her out of the house. Faced with the learning demands of her course, she sought help from the student support team at Birkbeck’s Stratford campus. With her determination, dedication and willingness to come to the campus at weekends and in the evenings, Radha is simply an inspiration, especially in the way she has persevered and achieved with IT. She has learnt how to use Google Scholar and Google Books for her assignments. When she started, she had never heard of Google, but now uses it constantly. She has also created two fantastic PowerPoints about artists, searching for information and images on the Internet, and learning to copy, paste and move items around, resulting in two presentations that both members of her class and tutors enjoyed and praised. She was rightly proud of this achievement. 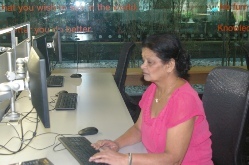 She has made full use of the expertise of our library learning support advisers as well as IT technical support and an IT course in acquiring her computer skills. Our IT technicians are very impressed by the way she made progress. Her family have benefited too, since she now emails her three grandsons, and also her relatives in India, using her newly acquired laptop. Radha has attended study skills workshops to improve her academic reading and writing, and with one to one help has learnt to organise her essays and develop an argument. She has learnt how to conduct her own research for her assignments by developing Information Literacy skills, working long hours with our library learning support advisers. At the same time, she has learnt to take academic criticism and respond with appropriate improvements to her work. The outcomes of Radha’s return to study have been that her tutor for her first year certificate module noted her excellent attendance (12 out of 13 classes), her submission of assignments on time, her informed contributions to class discussion always made in a pleasant way, and the clear progression in her academic grades, from 55% for the first assignment (a critical analysis), to 62% for the final assignment (a presentation). What impressed her tutor most about Radha was her determination to succeed in a new and challenging task, and the consistent way in which she put so much hard work and time into acquiring knowledge of Art History and academic skills. In her spare time, Radha has become a frequent visitor to museums and major galleries, and is becoming more confident about her art knowledge. She still doubts herself, but always cheerfully perseveres in the face of all the pressures. Radha embarked on her Understanding Visual Arts Certificate at the age of 70, having retired at 67 from working very long hours as a Housing Benefit Officer. Her husband died when he was thirty-two, and Radha was left on her own and worked to support her daughter. She has fourteen years’ experience as a foster mother. It is truly impressive that she should wish to engage so wholeheartedly with the discipline of academic study and the acquisition of academic skills after a long and hard working life. Having completed the first year of the Understanding Visual Arts Certificate at Birkbeck, for which she won an Adult Learners Award, Radha joined students studying for the BA History of Art and BA Arts and Humanities. Following her passes, at the first attempt, of rigorous Level 4 exams (for the modules Introduction to Modern Art and Introduction to European Art before 1800) Radha successfully progressed to Year 2 of the BA Degree in History of Art, where she went on to successfully submit all required coursework at Level 4 and 5. She is now due to sit exams for 3 modules at Level 5.